As a result of the growing prevalence of dental and cardiovascular diseases, the need for medical x-rays is also increasing. This helps in increasing the demand for the global medical x-ray generator market. The geriatric population is more susceptible towards developing chronic diseases, which is anticipated to drive the demand for medical x-rays. Increasing potential of the market to prosper is marked by more usage of monoenergetic x-rays by government organizations such as the U.S Public Health Service (PHS), boosts the growth of the market. Technically sophisticated x-ray tubes and carbon nanotubes offer great opportunities for players in the global medical x-ray generator market. Developing countries are likely to interest the global medical x-ray generator market players due to the rising opportunities of growth in those regions. Moreover, these devices help in detecting diseases faster. Thus, it is expected that there might be an increase in the adoption of medical x-ray generators over the forecast period. Due to the modification of the computer-controlled x-ray generator interface with the imaging system, better sync of the imaging system with x-ray generators is observed. These advancements help in widening the prospects for the global medical x-ray generator market. Owing to the research and development projects being undertaken for advancements in medical x-ray generator, more growth opportunities are anticipated in the coming years. When observed from a regional aspect, due to easy availability of raw materials, the medical x-ray generator market is anticipated to witness significant growth opportunities in Asia Pacific. Whereas, due to government’s interest to promote patient’s safety, North America can also be seen as a lucrative region for the market. The growing prevalence of cardiovascular and dental diseases is augmenting the need for impressively efficient imaging equipment for diagnosis. Consequently, the world medical x-ray generator market is envisaged to witness a propelled demand. Such a growth in demand can also be accredited to the increased development potential of the market triggered by the promotion of monoenergetic x-ray imaging by government organizations such as the U.S. Public Health Service (PHS). Both stationery and portable medical x-ray generators are prognosticated to attract high adoption due to their application in attending to a mammoth patient volume and addressing their dire requirement in emergency medicine and ambulatory services respectively. 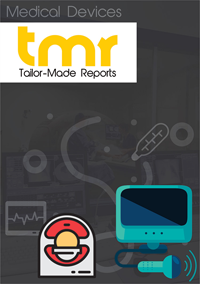 The global medical x-ray generator market could be categorized according to product and application with various segments making their unique contributions to the worldwide growth. Some of the segments could be innovation driven with new offerings introduced not only in general radiography but also a range of applications. The report is compiled while keeping in view the immediate and potential requirements of business leaders in the medical x-ray generator industry. Interested parties can avail the benefits of thorough primary and secondary research that form the foundation of this publication. With an all-embracing study of the global medical x-ray generator market, the analysts have exposed some of the crucial factors of growth, opportunities, and even restraints to help with a realistic approach of the industry. The emergence of technically sophisticated x-ray tubes coupled with innovative offerings such as carbon nanotubes are envisaged to offer high-income opportunities for players in the medical x-ray generator market. Such innovations help physicians and surgeons to closely examine minute biological tissues or cells and remote areas of the body with less exposure time and adequate improved resolution. More opportunities are expected to take precedence with the rising count of research and development activities directed toward the improvement of existing x-ray machines. X-rays with higher penetration rates that allow for accurate diagnosis through ultra-clear imaging are helping the adoption of medical x-ray generators to grow at a striking level. Besides this, medical x-ray generators find usage in a gamut of applications because of their extensive benefits. Of these, malignant cancer cell treatment, discovery of blocked arteries, and placement of stents are prominent. The demand growth for medical x-ray generators in Asia Pacific is envisioned to tower over a significant rate because of the easy availability of raw materials and their comparatively lower cost in the region. A commanding number of leading companies in Asia Pacific are contributing their part with a high investment in research and development activities and strategic decisions with regard to expansion. As a result, the Asia Pacific medical x-ray generator market is expected to notch up an express growth until the end of the concluding forecast year. North America, on the other hand, is anticipated to register a sharp growth in demand on account of the intensifying interest of governments to promote patient safety. In this regard, numerous government initiatives have birthed and stimulated the need for multiple medical x-ray generators obliquely. The North America region is also predicted to garner demand on the back of radiographic diagnostic procedures attaining a high preference from physicians since they offer exceptional patient safety. In 2015, this region accounted for a gigantic share in the global medical x-ray generator market. With a view to affix a dominant position in the world medical x-ray generator market, industry players are taking to geographic expansion, acquisition, mergers, and other strategies. Siemens Healthcare GmbH may look to inaugurate four hospital centers after partnering with Sandwell and West Birmingham Hospitals NHS Trust in 2016. This partnership is expected to help Siemens optimize the workflow of their operations through radical solutions and better manage their medical imaging systems with a wide scope of management services. Innomed Medical, DRGEM, CPI Canada Inc., Spellman, and DMS/APELEM are some of the prominent names in the global market.